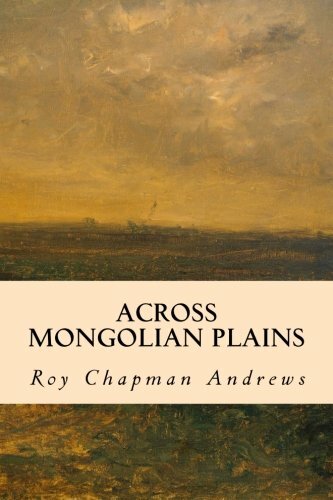 From Roy Chapman Andrews' excellent book 'Across Mongolian Plains' published in 1921. The dogs of Mongolia are savage almost beyond belief. They are huge black fellows like the Tibetan mastiff, and their diet of dead human flesh seems to have given them a contempt for living men. Every Mongol family has one or more, and it is exceedingly dangerous for a man to approach a yurt or caravan unless he is on horseback or has a pistol ready. In Urga itself you will probably be attacked if you walk unarmed through the meat market at night. Although the dogs live to a large extent upon human remains, they are also fed by the lamas. Everyday about four o'clock in the afternoon you can see a cart being driven through the main street, followed by scores of yelping dogs. On it are two or more dirty lamas with a great barrel from which they ladle out refuse for the dogs, for according to their religious beliefs they accumulate great merit for themselves if they prolong the life of anything, be it bird, beast, or insect. In the river valley, just below the Lama City, numbers of dogs can always be found, for the dead priests usually are thrown there to be devoured. Dozens of white skulls lie about in the grass, but it is a serious matter even to touch one. I very nearly got into trouble one day by targeting my rifle upon a skull which lay two or three hundred yards away from our tent.